The economic situation remains gloomy. Foreign direct investments are weakening. The economic outlook is rather decent. 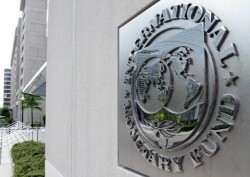 According to Romania´s Minister of Finance Florin Georgescu, the country will conclude a new arrangement with IMF in February 2013. Georgescu underlines that the loan will guarantee more stability for Romania. This article includes a total of 219 words.